In India about 25 per cent of the deaths happen due to heart attack and this number is only increasing each year. After creating Heart Attack Management System in Tamil Nadu and Telangana, STEMI India, a not for profit organization plans to set up four zones in Karnataka to create heart attack management drive especially in the rural areas in this state. These are namely, Bangalore, Mysore, Gulbarga and Mangalore zones to begin and later add more in the coming years. Dr. Thomas Alexander, Director of STEMI INDIA, said that Coronary Artery Disease (CAD) is the commonest non-infectious disease prevalent in India. He explained that Indians have the highest mortality and morbidity rates from CAD as compared to any other ethnic group. Over the last three decades, the prevalence of CAD has increased by 300%; from 2% to 6% in rural India and from 4% to 12% in urban India. It is now projected that the number of Indians with CAD is above 60 million of which 23 million is below the age of 40 years and 10 million younger than 30 years. CAD is projected to claim 2.9 million lives annually, of which almost 1 million will be younger than 40 years of age, he added, quoting figures from the WHO (World Health Organization). Coronary heart disease is common non-infectious disease in India reporting the highest mortality and morbidity rates. Over the last three decades, CAD prevalence increased by 300 per cent from 2 percent to 6 percent in rural India and from 4 o 12 per cent in urban India. Its now estimated that number of Indian with CAD is 60 million of which 23 million is below the age of 40 years and 10 million younger than 30 years. WHO reports that CAD is projected to claim 29 million lives annually of which one million is under 40 years. The objective of this workshops to stall fatality. Going by the incidence of heart attacks which can be controlled with early access to care and help patients to remain productive post the condition, has led STEMI- India to ensure all patients under the BPL (below the poverty line) have quick treatment options, said the course directors of STEMI India. 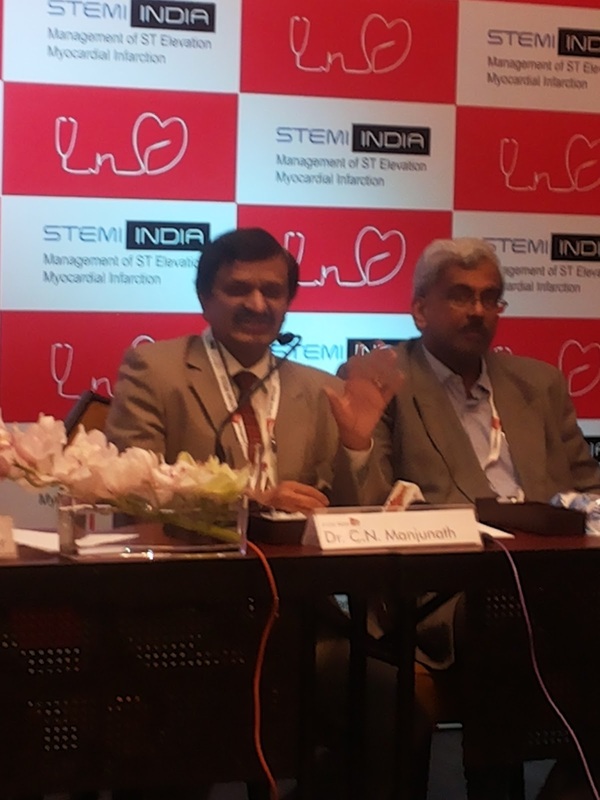 STEMI India is also organising a two-day workshop on management of ST elevation of myocardial infraction on July 2 and 3, 2016 at Hotel Shangri-La, Bengaluru. Around 1,000 delegates including from Africa and Egypt among others in the developing world are expected to participate in the event. The delegates will comprise doctors, nurses and technicians. They will have a first-hand exposure on how to reduce fatality, survive with good heart function and ensure rural and semi-urban doctors are equipped to handle these cases in a time-bound manner. The day and half programme provides a comprehensive review and training to the medical team involved in the processes and procedures in the care of a heart attack patient from the emergency room physician to the clinical cardiologist involved in thrombolysis to the cardiac catherisation lab team in the Percutaneous Coronary Intervention (PCI) capable hospitals. 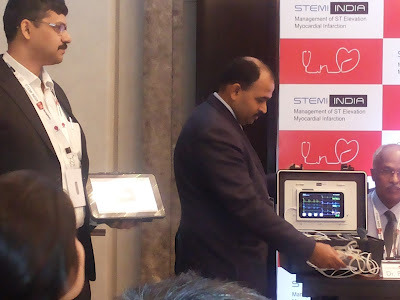 STEMI-India has unveiled a guided medical device which is an ECG, monitoring and data reader designed and developed indigenously by the Mumbai-based Maestros Electronics and Telecommunication Systems which is compact and easy-to-operate device at any remote location will be on display. It will demonstrate the quick and speedy methods to diagnose and administer the first line of blood clot dissolve drugs to stabiles the patient before he is shifted for further treatment. The device is manufactured at the Goa unit. 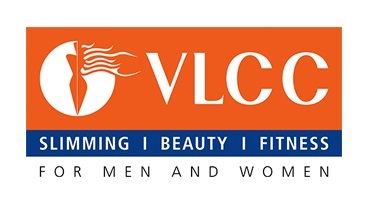 With the growing popularity of online shopping in India, the e-commerce companies are expected to invest close to $6-8 billion in logistics, infrastructure and warehousing in the next few years, an Assocham-PwC study said. The e-commerce market in India is expected to touch $80 billion by 2020. At present, there is a very low level of air cargo penetration and only a few airports are equipped to handle large volumes of express delivery parcels. As e-commerce gathers momentum and moves to the tier-II and tier-III cities, there will be increasing demand of expanding air cargo connectivity to smaller towns. 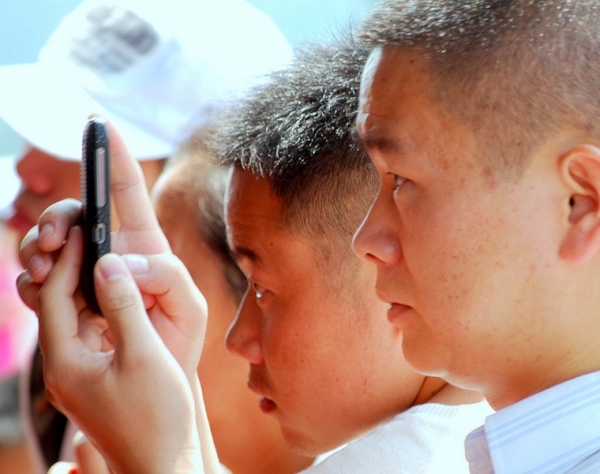 The industry would invest about $8 billion by 2025, the study noted. "Innovations are very important in this sector, as the demand is always for more reach and faster shipping at lower costs. 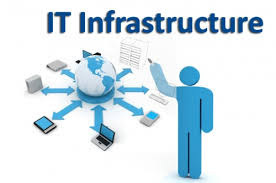 The companies will need to invest in automation, while utilizing existing resources well," said D.S. Rawat, Secretary General, Assocham. The overall e-commerce industry, valued at $25 billion has been growing at a compounded annual growth rate of about 35-40 per cent each year, the study said, adding that it is expected to cross the $100 billion mark in five years. 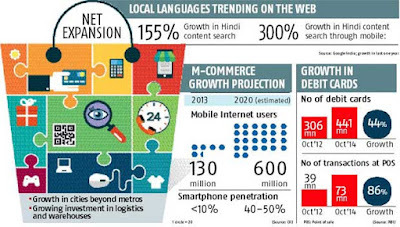 "India is successful in becoming the largest e-commerce market in the world. The rapid transformation in logistics, innovation, consumerism and productivity prove to be an interesting case study for other emerging economies," Rawat added. Global insurance premiums grew by 3.8% in real terms in 2015, amidst variations in regional growth rates, Swiss Re's latest sigma report says. The overall performance was steady after a 3.4%-gain in direct insurance premiums written in 2014, and coming in an environment of just moderate (2.5%) global economic growth, the latter a key driver of insurance demand. There was a slight slowdown in the life sector in 2015, with global premium growth dipping to 4.0% from 4.3%, due to weaker performance in the advanced markets. On the non-life side, strong growth in the advanced markets of Asia, and improvement in North America and Western Europe, contributed to a 3.6% increase in global premiums, up from 2.4% growth in 2014. In the emerging markets, overall life premium growth almost doubled to near 12%, supported by strong performance in emerging Asia, particularly China. Growth also improved in Latin America but was slower in the Middle East and Central Asia, and Africa, and premiums contracted in Central and Eastern Europe. The non-life sector maintained its robust premium growth trend (+7.8%), primarily driven by China. In India, total insurance premiums grew strongly by 7.9% in 2015, compared to a contraction of 1.2% in 2014. The improved performance was aided by stronger growth in both life and non-life premiums. Life premiums growth witnessed a turnaround in India, growing by 7.8% in 2015, compared to a contraction of 2.1% in 2014. The recovery was underpinned by investment-linked products which posted strong growth through bancassurance channels. Non-life premiums growth also picked-up, growing by 8.1%, compared to a growth of 2.2% in 2014. Growth was led by stronger health (including personal accident (PA)) and motor third party liability (MTPL) premiums. Meanwhile, insurance penetration in India remained low at 3.44% in 2015 compared to the global average of 6.23%, reflecting large untapped potential. Robust economic growth and Government enabling policy actions/initiatives are expected to increase insurance penetration and will act as a catalyst for future growth of the industry. With a focus on bridging employability gaps within the industry NASSCOM has partnered with Autodesk Inc., a world leader in 3D design technology, with a new standardized courseware ‘Product Design Engineer – Mechanical’, so as to enhance skilling in this field. This courseware will empower students in India with the required competencies at the entry level within the larger occupation of Product Engineering Design in the Engineering Research and Development (ERD) sub-sector of the industry. This courseware will help create a skilled talent pool, trained on global standards, with the ability to usher in a design-led future of making things. To ensure the creation of an academic course that is both relevant and viable, NASSCOM partnered with key industry stakeholders, namely, ANSYS, Autodesk, Geometric, Imaginarium, JCB, LnT Technology Services, SQS, Tata Technologies and TCS. Their inputs have significantly enhanced the design of the curriculum and courseware, which also addresses the need for faculty support, and seeks to achieve this by acquainting trainers with the latest advancements in pedagogy. India is one of the world’s largest population base of employable youth and is poised to become a sought-after destination for those seeking higher value add and specialized services. Per industry figures, the manufacturing industry contributes nearly 15.1% of India’s GDP and its contribution is expected to be around 25-30% by 2025. The sector is expected to reach US$ 1 trillion by 2025 in the process creating 90 million jobs. This initiative is a collaborative effort with NASSCOM, Autodesk and other industry members, is of great importance for all stakeholders concerned – the industry, academia, and the students. This initiative is expected to build new employability standards, bearing in mind the changing scenario of talent demand and supply in the industry. Sellfie, a contextual commerce startup, part of Citrus Payments -India’s fastest growing fintech company has announced the launch of a disruptive platform that enables individuals and small businesses to sell and collect payments on social networks and instant messengers using buy buttons, payment links and chat bots. Contextual commerce is the next wave of commerce where consumers share and discover shoppable products and buy the things they find, at the moment of discovery. The advent of new technologies like mobile, apps, and social media — have changed the way how merchants could accept and securely process customer payments. Merchants looking to offer customers leading-edge payment options are now looking at new ways to enable customers the ability to make purchases and payments wherever they happen to be online, not just on a merchant’s website through contextual commerce. The app, called Sellfie, allows anyone to take a picture of an item, price it, choose shipping options, and push a link to Twitter, Facebook, Instagram as well as other platforms like WhatsApp to sell and collect payments.Citrus managing director Amrish Rau said that even though Citrus has made it easier for businesses to collect payments seamlessly on web & mobile, it now wants to offer individuals and small businesses implement purchase opportunities into everyday activities and natural environments through contextual commerce. Apart from enabling sellers to post and collect payments on multiple social networks using buy buttons and payment links, the app also lets sellers chat with buyers and complete the orders received from multiple channels all in one place. Further the app has a one click simple on-boarding process that enables anyone to start using Sellfie without any documentation.Addressing the need for both buyer and seller comfort, Sellfie is designed in a manner where sellers can collect payments anywhere by creating a unique payment link. Taking it a step further, Sellfie’s unique model of escrow payments or “Buyer Protection Guarantee” ensures that payments made by a buyer will be released into the seller’s account only when the buyer receives the product. Commenting on the launch of Sellfie, Amrish Rau, Managing Director, Citrus Paysaid, “Contextual Commerce is a new frontier for commerce that is growing rapidly. 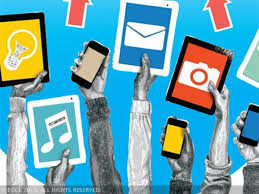 With Sellfie, we will be able to offer a complete commerce solution to help individuals and small businessescan sell on social networks and instant messengers.We are trying to provide an avenue to these sellers to setup their business online in 30 seconds with zero documentation. With Sellfie, the possibility of creating an online store presence for pretty much anyone becomes an instant reality, revolutionizing Indian e-commerce by helping small and micro businesses set up business online in 30 seconds with an e-payment facility, a free website, integrated shipping and a host of other services, all through a single platform. Leading wellness brand VLCC Health Care Limited announced the appointment of Meenakshi Vajpai as Chief Technology Officer. Ms. Vajpai will be the principle architect of the company’s IT strategies and roadmap. She will lead technology alignment with the organisation's goals of delivering a consistent customer experience. Meenakshi has over 25 years of diverse experience in the IT industry, having worked with organizations like Steel Authority of India, Sapient Corporation, Bharti Airtel Ltd and PVR Ltd. Taking its pioneering Online to Offline program steps ahead, Paytm, the largest mobile commerce and payment platform has announced to offer same day delivery on products in 20 cities. The company has begun with the deliveries with locally based commerce and will further add more categories to it. Currently, the same day delivery is available on large appliances, mobiles and is already active on the platform. Over Rs 20 crore worth of orders in a month are shipped the same day to the customers. Sellers themselves provide the delivery and installation service while Paytm enables them by training on how to manage online customer expectations and experience. Paytm has over 1.2 lakh sellers on their platform out of which over 3000 are sellers who specialize in shipping large appliances locally. 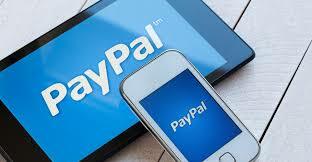 Paytm is aiming to add 10,000 more sellers in 50 top cities to spread the reach of O2O commerce further. Paytm enables consumers to check whether products are available to from nearby sellers who can ship and service the orders. The consumers have to pay a nominal amount to avail the same day shipping and installation services. 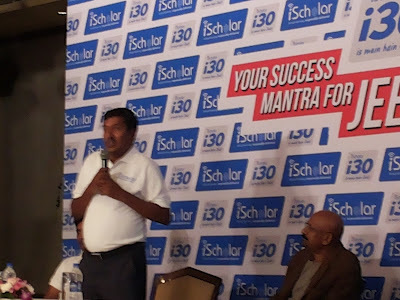 iScholar, a start-up that provides online courses, has partnered with Anand Kumar of Super30 fame, in an effort to bring down costs of IIT-JEE entrance exam coaching by 90 per cent. 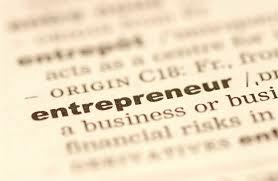 Now the start up is hoping to get about 30 per cent of the students into various IITs in 2017 academic year. 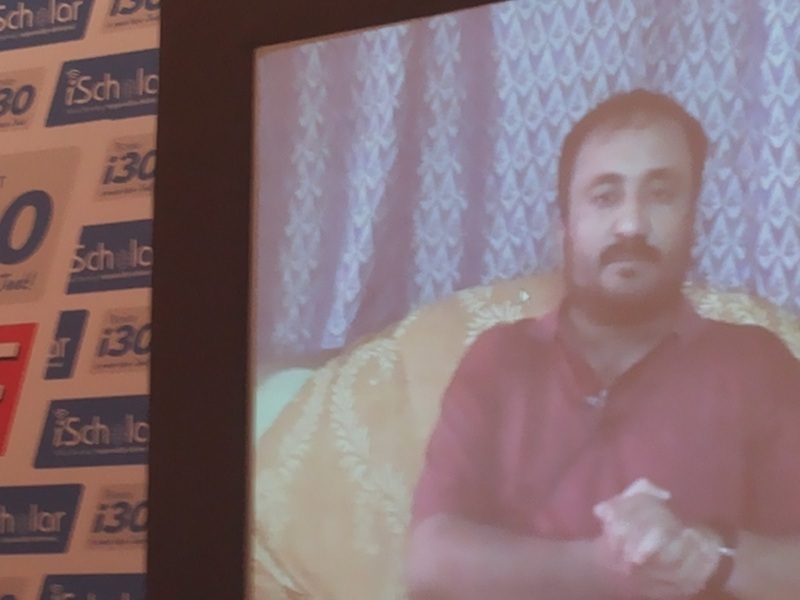 Anand Kumar, who became well known in the media and academic circle is the brain behind Bihar-based Super30, which yearly selects 30 meritorious students from socially disadvantaged backgrounds aspiring to get into IITs. “We know that students coached by Kumar have a 100 per cent success rate when it comes to IIT entrance. We want to replicate this for more students who are unable to afford coaching,” said Rajendra Prasad Nadella, Chief Managing Director, iScholar. A typical IIT-JEE preparation course runs for a whole year and costs ₹80,000 to Rs 1 lakh and upwards. The annual fees for the iScholar courses works out to ₹6,000, which includes features such as access to content, computer-based training coaching in real-time and interaction with faculty. Reports indicate that each year over 2.5 lakh students appear for IIT JEE entrance exams and about 1.5 lakh take the test but only 10,000 students or so get in while another 10,000 odd students opt for the Regional Engineering Colleges spread all over the country. What's interesting is that, 80 per cent of these students are from urban India . Now we attempt to get more students from the rural areas into these esteemed university, says Nadella. For students who do not have access to internet, the start-up will provide downloadable courses. “The courseware will help more aspiring students to get into IIT,” said Kumar. iScholar students will get access to professors such as Aniruddh Sinha, Ravi Ahlawat, Kashish Mathur and Akhil Narayan. Further, to avoid instances of course material being illegally shared, the start-up has encrypted the courseware, which can be accessed only through its learning management software. The website has been created by professionals from top IT companies using C++, Java and open source platforms for live streaming and along with video tagging to enable to watch particular videos. The content can be accessed even on a 256 kbps dongle. "Today we have over 450 hours of video and since every one should get access to high quality education, we have developed it as a low-cost two way audio, video and interactive platform targeting the BPL families in India," adds Nadella. Insider data theft and malware attacks top the list of the most significant concerns for enterprise security executives, a new report from Accenture and HfS Research reveals. 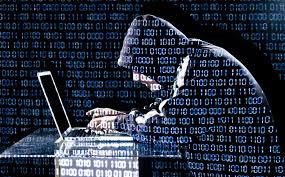 Of those surveyed, a majority (69 percent) of respondents experienced an attempted or successful theft or corruption of data by insiders during the prior 12 months, with media and technology organizations reporting the highest rate (77 percent). This insider risk will continue to be an issue, with security professionals’ concerns over insider theft of corporate information alone rising by nearly two-thirds over the coming 12 to 18 months. Additionally, the research shows that a budget shortage for hiring cybersecurity talent and well-trained employees is hindering the ability of organizations to properly defend themselves against these attacks. The survey, “The State of Cybersecurity and Digital Trust 2016’”, was conducted by HfS Research on behalf of Accenture. More than 200 C-level security executives and other IT professionals were polled across a range of geographies and vertical industry sectors. The survey examined the current and future state of cybersecurity within the enterprise and the recommended steps to enable digital trust throughout the extended ecosystem. 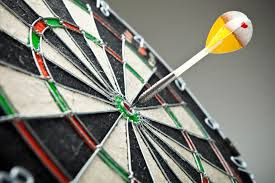 The findings indicate that there are significant gaps between talent supply and demand, a disconnect between security teams and management expectations, and considerable disparity between budget needs and actual budget realities. Despite having advanced technology solutions, nearly half of all respondents (48 percent) indicate they are either strongly or critically concerned about insider data theft and malware infections (42 percent) in the next 12 to 18 months. When asked about current funding and staffing levels some 42 percent of respondents said they need more budget for hiring cybersecurity professionals and for training. More than half (54 percent) of respondents also indicated that their current employees are underprepared to prevent security breaches and the numbers are only slightly better when it comes to detecting (47 percent) and responding (45 percent) to incidents. 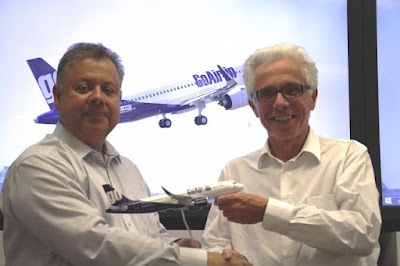 GoAir, one of India’s leading airlines, has announced their limited period Monsoon and more offer across its network. 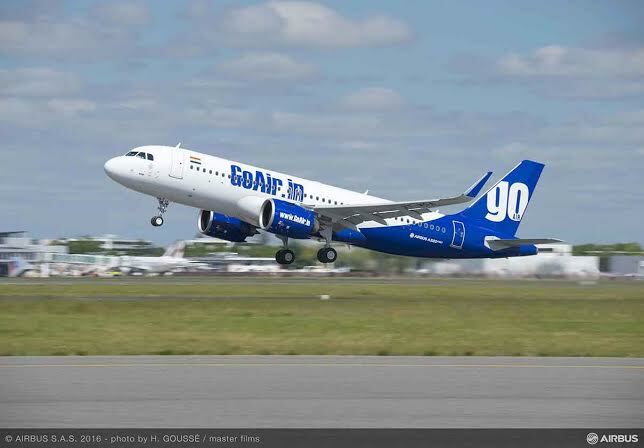 Base fare during the offer period starts at Rs 849 (excluding taxes) for travelers that book flights between June 29 to July 2 for the travel period between July 1 to September 30, 2016..
Apart from the discounted ticket prices, GoAir has also rolled out many exciting offers on bookings. Travelers can avail 60% discount on pre-booking meals through all sales channels. Flyers who opt for using PayTM wallet will get an additional 10% cash back (up to Rs 500). Bookings done through the website, www.GoAir.in become eligible to get Rs 200 Café Coffee Day vouchers. GoAir has launched this unique offer as part of its constant endeavor to make air travel affordable and exciting for customers. The offer can be availed through the company website, www.GoAir.in or online travel portals, GoAir Call Centre, airport ticketing offices, through travel agents, and the GoAir App that is available on both Apple iOS and Google Android. Passengers will be required to download the latest version of the Apps to be able to make the bookings. 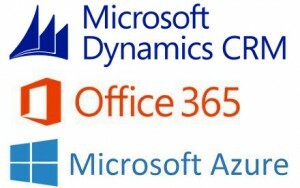 Microsoft has announced the appointment of Crayon Software Experts India Pvt Ltd (Crayon) as a Cloud Distribution Partner under its Cloud Solution Provider (CSP) Program in India. As part of this program, Crayon will help its customers (both - SMBs and Enterprise) in India to adopt Microsoft’s cloud based technology solutions like Microsoft Azure, Microsoft Office 365, Windows Intune and Enterprise Mobility Suite (EMS) subscriptions. Crayon will also work with Internet Service Providers (ISPs), Telecommunications Providers (Telcos) and Web Hosting firms to deliver these solutions to customers in India. Cloud Solution Providers are partners who build solutions leveraging Microsoft cloud for customers across the country on a pay-as-you-go model. 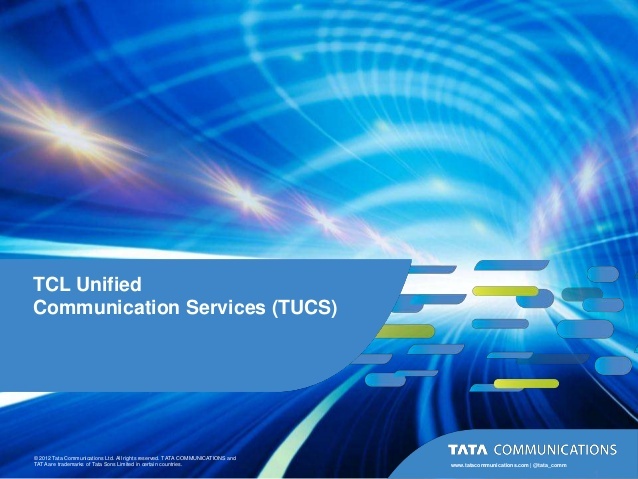 The CSP Program enables Customers to adopt value-added solutions and offerings supporting their specific requirements on the cloud. Customer’s working with Crayon, can customize their IT requirements by leveraging its deep experience in cloud migration, software asset management and delivery of fully managed services. Crayon will also own the complete customer life cycle, combined and customized solutions, while directly provisioning and supporting Microsoft cloud offerings for their customers. Microsoft launched the Cloud Solutions Partner program for India in 2015. Some other Microsoft CSPs in India include Redington India and Ingram Micro. Corsair, a leading in high-performance PC hardware, today announced the launch of ML PRO and ML PRO LED 120 and 140mm Fans in India. These fans include an entirely different range of bearings which will change the way PC enthusiast's expectation from a high-performance cooling fan. 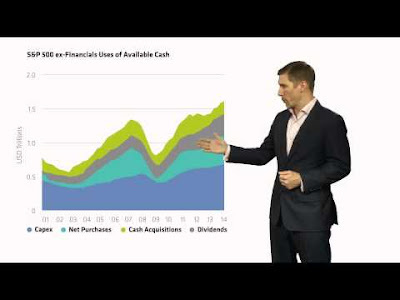 "This is one of the most exciting products we've created in recent time. ML PRO fans use magnetic levitation technology to offer low noise, high performance and longer lifespan for PC enthusiasts to build better gaming rigs. Controlled by PWM, these fans that allow precision control of spin rates of over 2,000rpm to maximize airflow and reduce noise according to the situation. Loaded with Anti-vibration rubber dampers, hub-mounted LEDs, unique lighting impeller and color matched corner caps to complete color themes, these RGB LED fans help PC modders to keep their rig alive and running as great as day one." Said M A Mannan, Country Manager at Corsair. Harnessing the patented Magnetic Levitation bearing technology and custom rotor designs, CORSAIR ML PRO fans offer both high static pressure and high air flow, with an ultra-low friction magnetic bearing that simultaneously generates lower noise and provides higher performance. Offered exclusively with PWM speed control over a huge 2,000 RPM range, CORSAIR ML PRO fans mean users don't have to choose between low-noise and high performance; one fan can deliver both silence and absolute performance. These fans are customizable with swappable color coordinated corners and are available in both 120mm and 140mm models. The ML PRO LED version, adds an integrated lighting into the fan's hub, radiating light out through the frosted translucent blades for a vivid, striking look. ML PRO 120mm comes with the MRP of Rs.1899 and the product is available from Aug 2016 carrying a warranty of 5 years. ML PRO 140mm comes with the MRP of Rs. 2399 and the product is available from Aug 2016 carrying a warranty of 5 years. ML PRO LED 120mm comes with the MRP of Rs. 2199 and the product is available from Aug 2016 carrying a warranty of 5 years. ML PRO LED 140mm comes with the MRP of Rs. 2699 and the product is available from Aug 2016 carrying a warranty of 5 years.